So I know we are all still wondering about Ghostly Tea Party and Howling Hoodies. But I always wondered what happened to other dolls that have been seen but then never released! For instance that beautiful collection that was supposed to come out with the Lady Gaga doll... What do you think? Does the original version of Wydowna count? I want to say I recall Mattel saying they were one-off dolls, but I'm not 100% sure. I remember there being a lot of buzz at the time for Gaga accompanied by a line of little monster ghouls, but then Mattel stepped in and denied they were being made. I always wanted Drama Class Draculaura, and have no idea why she was never made. Then there's the ones that appeared in the specials or cartoons that were never made. Roller Maze Cleo was a big want for me, but then I was a big Cleo collector. Yeah, my fav from the webisodes was Gloom and Bloom Lorna, would have loved to see that outfit! 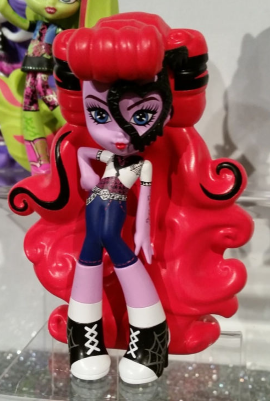 I know she's not technically a doll, but I was really excited for Vinyl Operetta. I always wondered why the never released her. Maybe they thought her design was too plain/not edgy enough for MH at the time? Pharao/Seth Ptolemy who according to Garret was design but later canceled. I don't remember Mattel every advertising that. Guys, I found this link with all the "cancelled content" by MH. Found a lot of interesting stuff! Might be interesting if your curious or good material for customs! 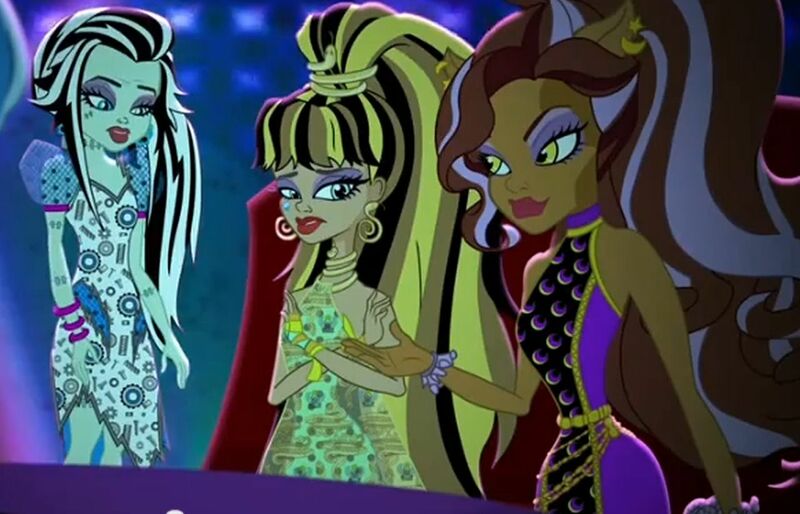 Dot Dead Gorgeous Cleo DeNile, Frankie Stein and Clawdeen Wolf, I wanted Cleo so bad. Wooow same! I loved those outfits, I hated to see them in the webisoded but then never in real dolls! Same here. The dolls weren't the best, but I still enjoyed a lot of them. But why, oh, why did they have to omit characters and nearly destroy the story line?